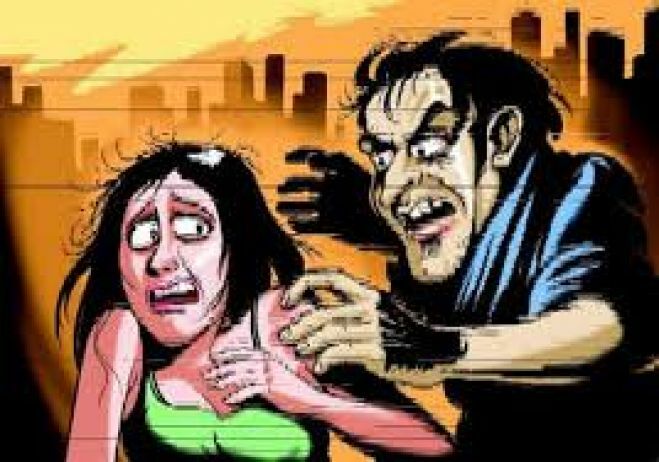 Four days after a schoolteacher lodged a complaint against a youth for harassing his daughter, he was beaten to death by the accused and his mother at the doorstep of Mahilpur police station in Hoshiarpur district on Wednesday evening. The accused, Amit Kumar Bali, and his mother Bhagwanti were arrested and booked under sections 302 and 34 of the IPC. This incident brings back memories of the brutal murder of a Punjab Police SI Ravinderpal Singh, in an Amritsar market by a local SAD leader Ranjit Singh Rana on December 6, 2012, when the cop objected to the harassment of his daughter. The accused in this case, Amit, used to harass the girl and had even proposed to her, but she ignored him. Sometime ago her father Vijay Bharadwaj, a teacher in a private school in nearby Gondpur, arranged her match with an NRI boy of the same village. “Vijay was a perfect gentleman and would always avoid any dispute or altercation. He had a good reputation in Mahilpur as well as Gondpur where he was a teacher,” said Amarjit Singh Bhinda, a local BJP leader and a family friend, who witnessed the incident and took Bharadwaj to a hospital.Family sources said when Amit learnt of the girl’s engagement a few days back, he threatened her fiance’s family and asked them to call off the marriage. According to Bharadwaj’s son Akash, he also came to their residence and threatened them with dire consequences if they did not accept his marriage proposal. “The threats left Bharadwaj depressed. He and the family of his daughter’s fiance also felt humiliated and threatened by Amit. I advised them to approach the police and they lodged a complaint on September 9. The cops summoned Amit, who was not at home. The police left a message at his residence directing him to appear at the police station on Wednesday (6pm),” . On Wednesday Amit got into an argument with Vijay and his son Akash, who too had been called by the cops, outside the police station. “Amit and his mother pounced on Vijay. Looking at their aggression, I asked the policemen to intervene, but Bharadwaj fell down gasping for breath. I took him to the civil hospital where he was declared brought dead by doctors,” Amarjit said. Hoshiarpur senior superintendent of police Sukhchain Singh Gill said Vijay fell down moments after the accused assaulted him and suffered a cardiac arrest, which proved fatal. “The cops inside the police station reacted swiftly, but everything happened in a flash,” said the officer.